Many people who enjoy outdoor activities swear by the natural characteristics and feel of real wool for their boot socks. These newly developed SockShop Heat Holders Wool Rich Long Thermal Socks combine the best of natural wool with Heat Holders’ knitting and brushing technology to produce a super-warm 2.7-tog sock. The long looped pile, soft brushed on the inner, holds warm air and cushions feet for all-day warmth and comfort. whether you are rambling, dog walking or working in the garden. 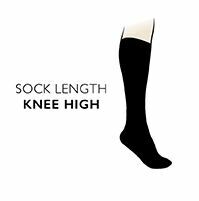 These socks have an extra long leg for increased warmth and protection in longer boots such as wellingtons or paraboots.